More and more we use our phones to take inspirational photos and share them with our friends and followers on popular social networks. An important step prior uploading them, which shouldn’t be overlooked, is to add a watermark and hence clearly claim ownership. Watermarking our photos is a great way to protect them from being used without our authorization. Moreover, since your name, your company’s name or logo or your website will appear on the photo, it’s a definite opportunity to expand your online visibility. 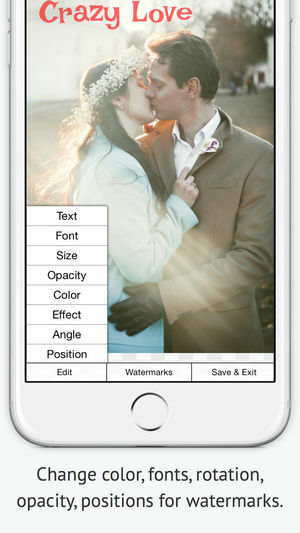 PhotoMarks is our first proposal to watermark photos on iPhone. The app is easy to use and makes it quite simple to add text or logo marks which you can customize to your liking. For that purpose you can position, scale and rotate them exactly how you want, select from a wide array of fonts and colors, set the transparency or apply special effects like stroke and shadow. 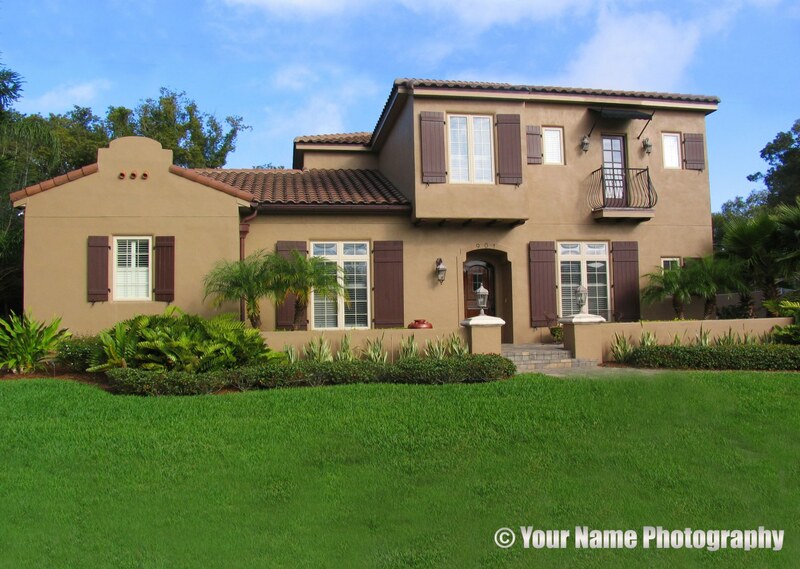 PhotoMarks uses non-destructive editing, which means your original images won’t be overwritten. The app has a smart feature which enables you to save your marks as Profiles and easily use them again in a different session without starting from scratch. After you’re done with your editing, you can directly share your pictures on Facebook, Instagram and Twitter or send them via email. 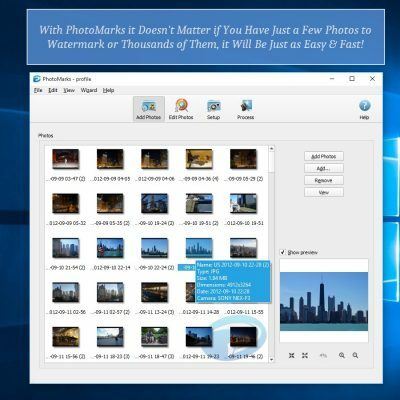 PhotoMarks also has a desktop version available for Windows and Mac, which is designed to watermark images in bulk. 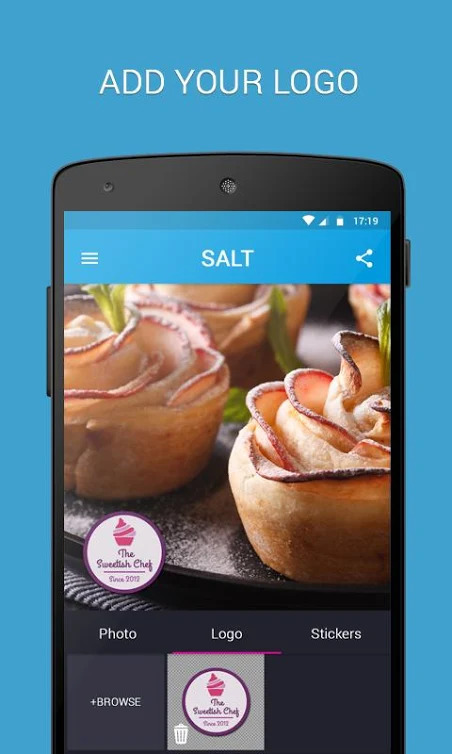 Salt is a watermark app for Android designed to help users and businesses protect and brand their pictures on social media. You can add various text marks to your pics and adjust them by choosing where you want to place them or by selecting from a wide range of fonts available. The app also allows you to insert a logo, but with limited customization options. 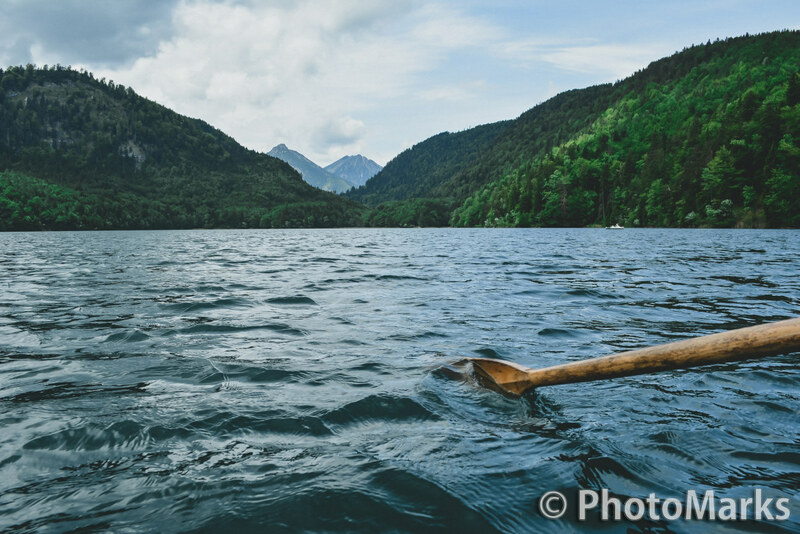 In addition to watermarking, Salt enables users to perform other useful edits, such as resizing and cropping photos. You have the possibility to precisely crop your pictures in order to match the Facebook Ads, Facebook Cover or Page Post or YouTube Art format. When you’re done, you can share your images from within the app on all major social platforms. 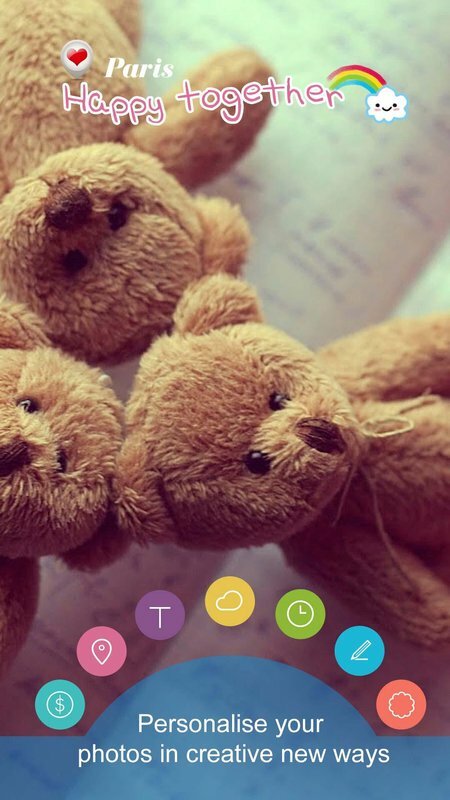 iWatermark is an app to watermark photos on both iPhone and Android. 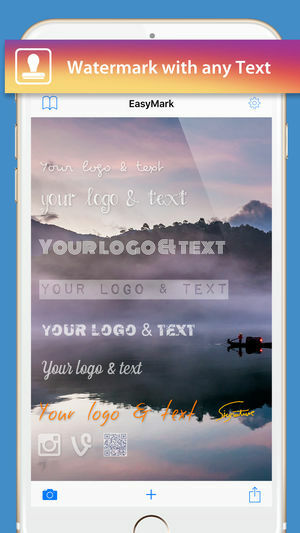 The app offers users the possibility to insert both text (name, website, date and time) and graphic marks (logo or signature). You can also create a QR code to add to your pictures and, when it will be scanned, it will reveal all the info you entered: your website, your business email and so on. All the marks you use can be customized. 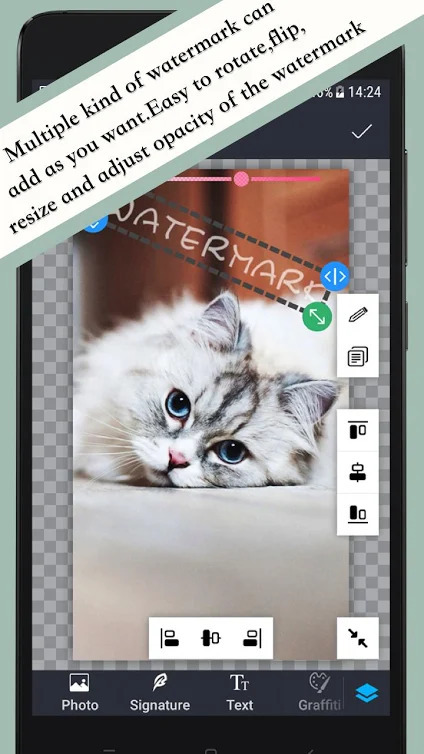 iWatermark allows you to change their placement and scale, rotate them to the desired angle, select the preferred fonts and colors, as well as adjust the opacity. You can create your own text and logo marks or choose from the existing presets. The app also has a batch processing feature for users who work with a larger collection of pictures. The social media component includes direct sharing to Facebook, Flickr, Instagram or Twitter. 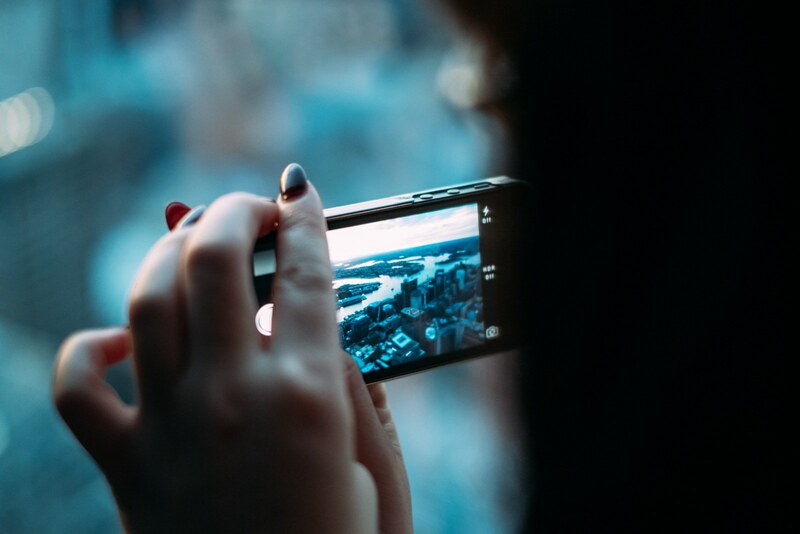 Photo Watermark is another alternative for Android users to protect and brand their images. The app comes with an intuitive design and provides multiple watermarking possibilities. You can add various types of text, including date and time stamps, logos as well as select from the numerous built-in PNG stickers. Photo Watermark gives you the opportunity to makes all types of changes to your marks in order to make them your own. This means you can adjust their location, rotation, transparency or apply various special effects to make them stand out. To help you improve your efficiency, the app allows you to create templates and use them later without applying the same edits. You can share the results on Facebook, Instagram or Twitter or send them via email. 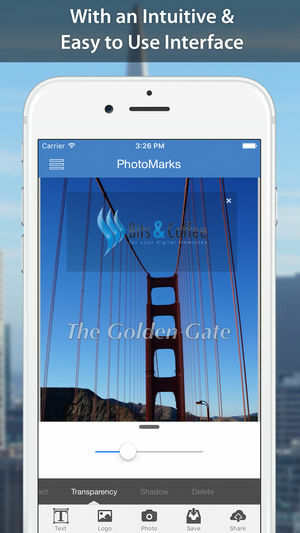 Watermark Pro Signature & Logo is a simple, yet effective watermark app for iPhone. 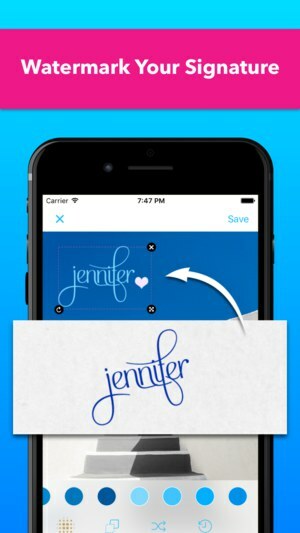 It gives you the option to add your own signature or logo or create a brand new graphic mark by taking advantage of the app’s built-in library of fonts, clip art and colors. Watermark Pro makes it easy to customize your marks in terms of position, scale, colors and more. The app helps you save time by allowing you to create your own templates and easily reuse them with a single tap. 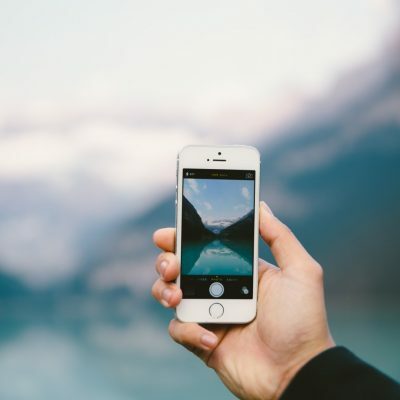 Once you’ve finished making adjustments, you can directly upload your pics on your favorite social network,whether it’s Instagram, Facebook or Pinterest. InstaMark is not your classic watermark app, in the sense that it provides further possibilities to stylize and edit your pictures. 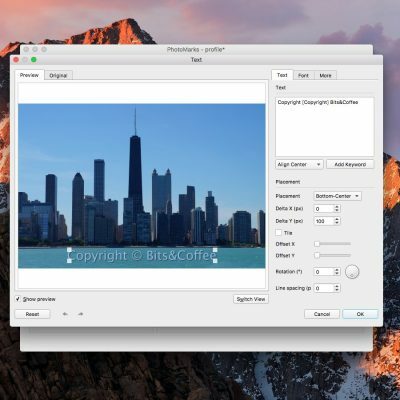 You can add a standard text mark, but also a wide range of details in your pictures, such as weather and location info, various captions and stickers, as well as time stamps. InstaMark places at your disposal weather and mood templates and also more than one hundred themes to choose from. You can further customize your images by adding your own hashtag or ID. 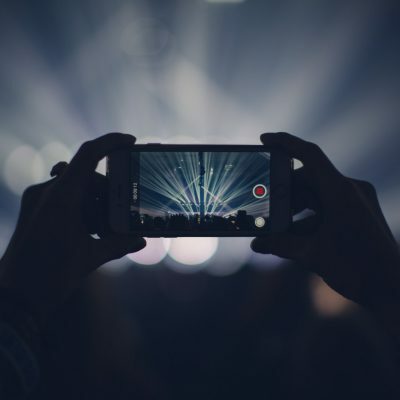 The app provides different filters to improve the overall appearance of your pics and three aspect ratios in order to match the requirements of all social platforms. 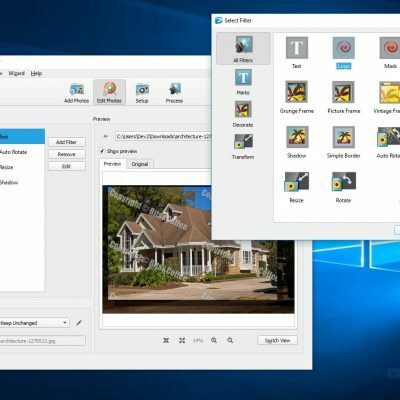 EasyMark makes it easy to learn how to protect your photos and videos as well. The app comes with a clean, user-friendly interface and allows you to create your marks using text, logo, already built-in icons and stickers and even QR code. Just like in the case of the other apps, EasyMark offers customization options which means you get to adjust various parameters like the placement, rotation, fonts, colors and more. An option to save your marks as templates for later use is also available. When you’re done, you can share your pictures and videos on Instagram, Vine or Twitter or email them to friends and family.